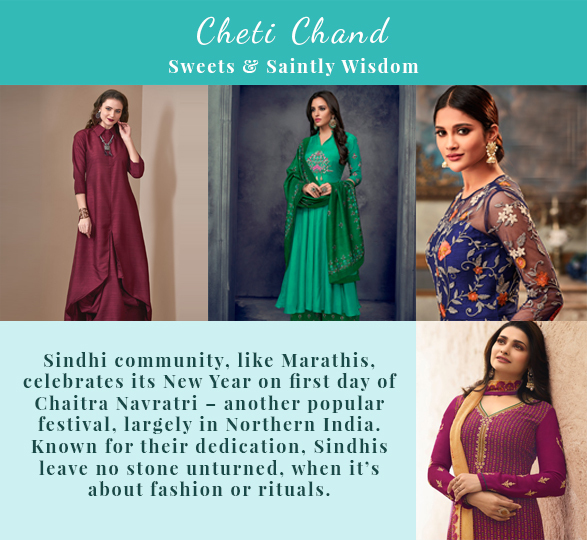 Cheti Chand- the Sindhi New Year is an occasion for fun and frolic. With the beginning of the Chaitri month, the Sindhi community also celebrates the birth of their deity- Lord Jhulelal. The celebrations are a colourful affair- with music and dance. 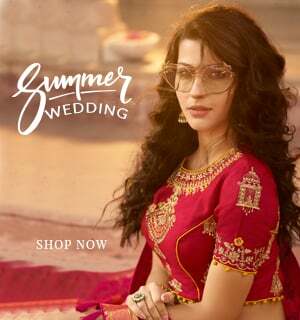 Vibrant salwar suits and trendy fusion sets are the most loved garments for this festival. You can also wear palazzo suits and lehengas for Cheti Chand. Gudi Padwa is the regional New Year of the Maharashtrian or Maratha community. 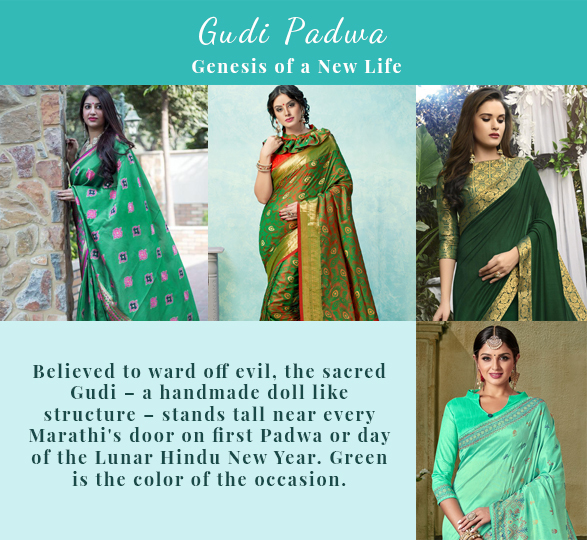 This day witnesses a plenty of religious rituals – and the women of the house can be seen in the fortune colour green, known to bring prosperity and peace. Gudi- an overturned pot kept over a stick, covered with a piece of cloth – is placed outside every home to ward off evil. 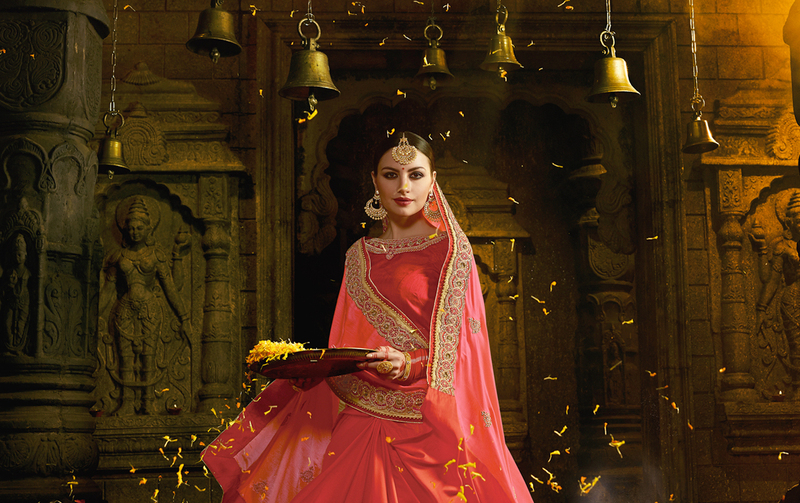 Silk, Paithani Sarees and other popular sarees worn among the Marathi community. 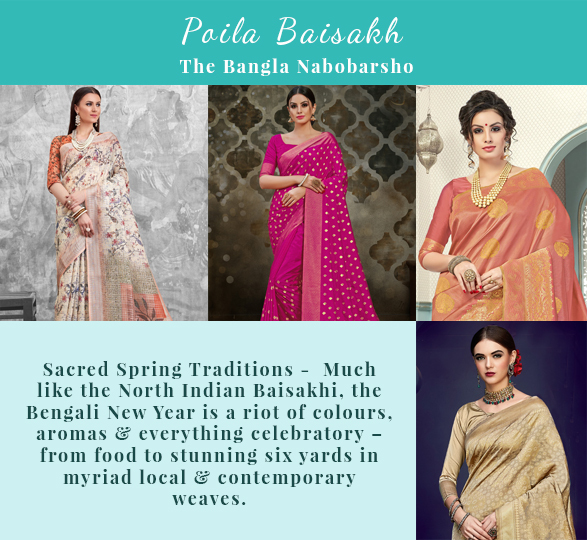 This celebration of the spring harvest carries a lot of vibrancy- the Assamese Spring New Year spans a couple of days – with the whole fest stretching for over a month. 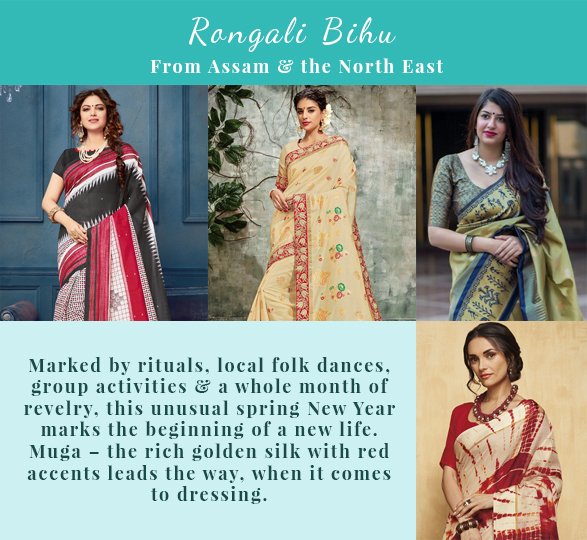 Muga silk sarees and wild silk or tussar silk sarees as well as Mekhela Chador- the traditional draped ensemble of the Assamese are fondly sported by women, during these days. 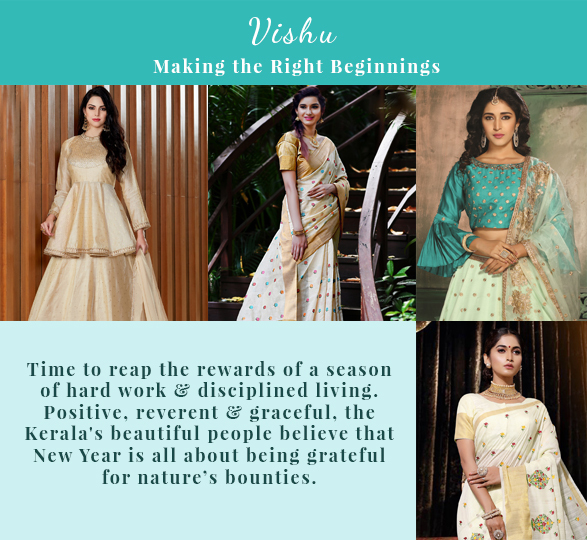 This revelry in the state of Kerala is an occasion to rejoice the gift of nature- the winter crop. The 10 day long fest is an awesome coming together of beautiful customs and feasts. 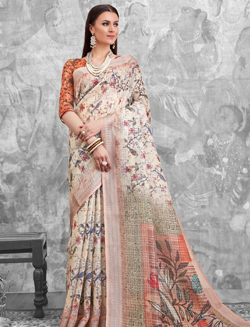 Kasavu sarees and south silk sarees in subtle tones form the main dress code. Playful music and boisterous dance performances are order of the day, when it comes to this vibrant fest of spring harvest. Punjabis, known for their boisterousness and over the top attitude, leave no stone un-turned to make their New Year – Baisakhi extra special and full of verve. So much so that, anyone will want to get up and groove to their full of life Punju folk numbers. 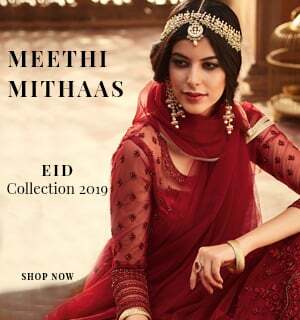 Punjabi Suits befit this full of life celebration. 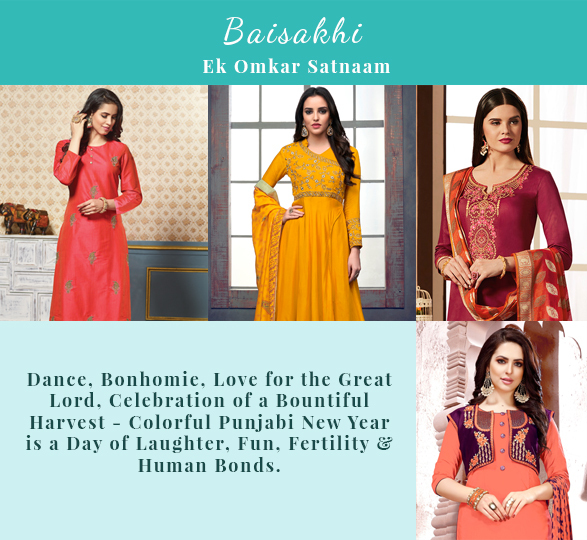 Sharara suits and Patiala suits come the close second, when it comes to popular attire for Baisakhi. 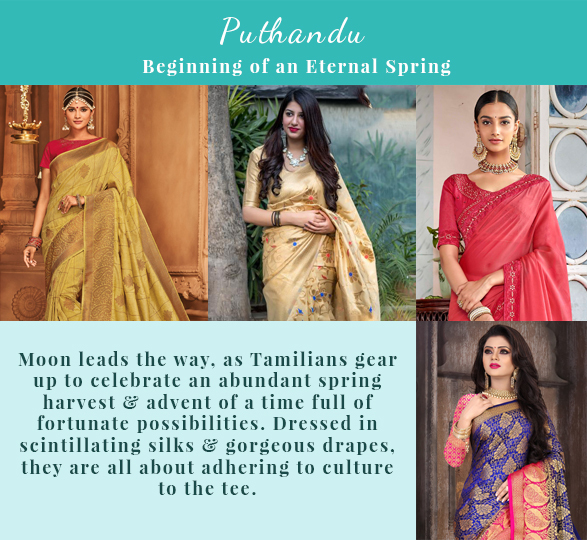 Rituals, rich dressing and feasts mark the Tamilian New Year – Puthandu. 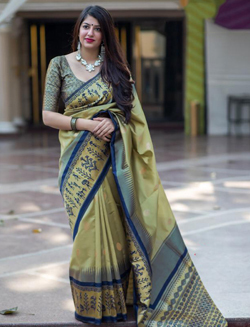 Silk Sarees, as expected rule the roost, and so does traditional dressing for both men and women. 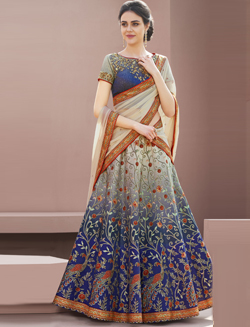 Even the young girls can be seen dressed in traditional dresses like the South Indian half saree. 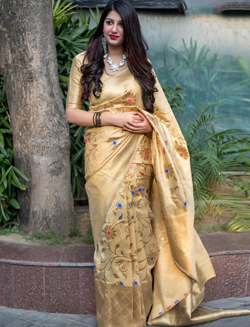 Kanchipuram sarees win hands down, when it comes to choice of sarees. People from Tamil Nadu gift and donate with an open heart at this time. 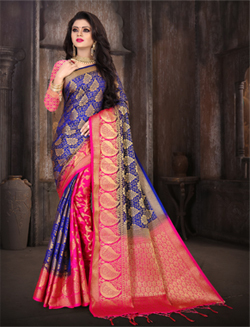 Sarees of all kinds also make for a popular gifting option. Ugadi is the name of the spring New Year, celebrated in the Southern states of Andhra Pradesh, Telangana and Karnataka. 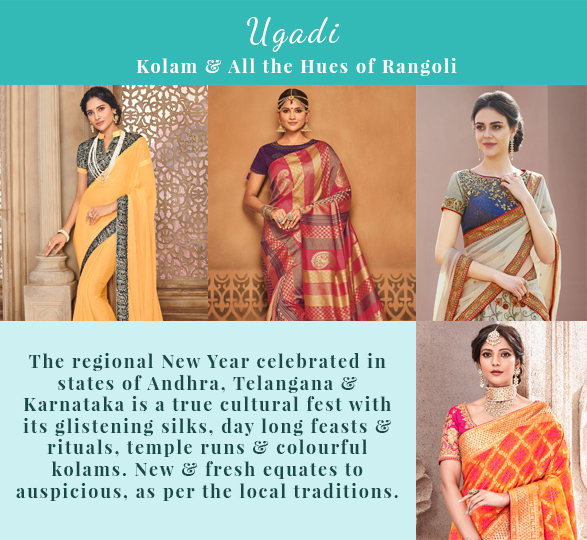 One of the biggest fests in these states, Ugadi is considered very fortunate for new beginnings and inaugurations. Naturally, there’s a lot of socializing – marked with festive and celebratory dressing. Tamil Nadu’s famed Kanjeevarams can be seen all over.